and many other private or corporate functions & events. See your colleagues and guests star in a show that will have the audience laughing, applauding and enthusiastically volunteering to join in a fast paced, comedy hypnotic show that will be the topic of conversation for many weeks after the event. Mike Master's has been declared one of the Pacific's most creative and original stage hypnotists. He performs up to 150 outstanding presentations each year for a variety of audiences including high schools, universities, fairs, conventions and corporate giants. Not only does Mike Master's offer a range of hilarious hypnotic shows, he also offers seminars and workshops as a keynote speaker on “Stress Management” - “Mind Motivation” and “Creativity”. 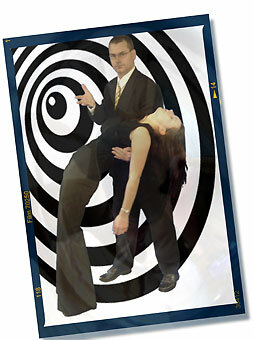 Hypnosis is a unique form of interactive variety entertainment for conferences, social functions and special events. It's also a great fundraising event for schools and clubs. That's because audience participation takes on a whole new meaning when volunteers are brought up on stage and quickly placed in an hypnotic trance. From this point forward, the laughter is non-stop because Mike Master's subjects become the stars of the show! They turn into their favourite celebrities, meet visitors from different worlds, forget their names, lose part of their bodies, travel back to their childhood, become firemen and even turn invisible - all taking place in one of the most captivating and hilarious hypnotic presentations around! With no two shows ever the same your audience will be left begging for more of this outrageous non-stop comedy show. Hypnosis is an altered state of consciousness induced by a series of psychological techniques. Hypnosis is an ancient art dating back to the Egyptians, but made commercially popular during the early days of music halls and vaudeville throughout the UK, Europe and the USA. Mike Masters uses his knowledge and understanding of these hypnotic techniques to access his volunteers' subconscious mind and magnify their imaginations, turning mild mannered people into total extroverts - way outside their normal comfort zones. Mike is able to guide his subjects through a variety of experiences, but it is up to the individual to create and react to their own experience within the situation. This is why you never hear about hypnotised people robbing banks or other crimes - because hypnotised people will never do anything against their morals or beliefs. Is the Mike Masters hypnotic show safe? YES!. Hypnosis itself is 100% safe. There is no danger of going into hypnosis and never coming out - hypnosis just doesn't work that way. There are no side effects caused by someone going into hypnosis. Furthermore, Mike is an experienced Stage Hypnotist and Clinical Hypnotherapist who always keeps in mind the safety of his subjects. At the beginning of the show, Mike announces that as part of his volunteer criteria, he will accept nobody as a subject who has a broken arm... broken leg... sprained ankle... or any injury whatsoever. Neither will he accept anyone who is pregnant, under a doctors care, or on any medication -- legal or illegal. Mike must restrict all participants under the age of 12 or over the age of 70 from appearing on stage. How does Mike choose his volunteers? This show uses no stooges or pre-arranged hypnotic subjects. Mike Masters will only use people who are willing to submit themselves. Besides, bringing up volunteers 'on the spot' allows the audience to see that nothing is 'set up' or prearranged with volunteers. The volunteers on stage are guided through a very carefully orchestrated set of entertaining and non harmful fictional scenarios by the Hypnotist for the entertainment of the audience. Using specially developed speed induction techniques, he makes it look so easy - using total strangers with no pre-selection, screening or prior considering - with just a snap of a finger. It really is astonishing. Because Mike's hypnotic inductions are so powerful, it's not uncommon to find that two or more audience members have succumbed to Mike's powers, and are snoring away happily in their seats whilst the action is happening on the stage. These people more often than not end up becoming some of the best stars of the show. Does Mike explain what hypnosis is to the audience? Absolutely. Everyone is fascinated with hypnosis. They don't just want to watch it - they want to understand "Why" and "How" hypnosis works. During the performance Mike educates (without lecturing) his audience as he dispels the myths and misconceptions that many people have about hypnosis. How long does the Hypnotic Show last? Mike recommends that he be provided with a minimum of 40 minutes to execute his act. The ideal time span for a hypnosis show is between 60 and 90 minutes. However, in the right environment, he is able to pull a performance out to 2 hours if you prefer. Please note: As this is an audience participating 'show', the time varies, depending on the volunteers etc. Why is there a minimum audience size requirement? Initially, Mike Masters like to have many volunteers to come up on stage at the start of the show. Mike will encourage as many as 25 to 35 volunteers to come forward, depending on the audience size. In order to have a sufficient remaining audience size left to entertain, we have found that a minimum audience size of 50 people works best - however Mike will perform for smaller groups on request. The rule of thumb to remember is - the more people the better the show will be. What type of corporate functions are appropriate for a Hypnosis show, and what type of functions aren't? Generally, a Hypnosis show can be performed for any type of corporate event where the entire audience is seated, either theatre style or in table rounds (for luncheons, dinners, banquets, galas, etc.) It is imperative that Mike Masters has the audiences' undivided attention. The show should always begin as soon as dessert and coffee have been served to guests and before any company announcements, presentations, etc. (unless these types of presentations are scheduled much earlier in the evening or in between meal courses) , to ensure a fresh, receptive audience for the show. A cocktail reception or social event where the guests are standing and mingling with each other will not work, nor can Hypnosis be performed on a strolling basis for corporate events. Is Mike Master's Hypnotic Show appropriate for my conservative group? Mike Masters has performed his comedy hypnotic show to over 1000 audiences and knows how to keep the room captivated without use of offensive material. Therefore whether performing at a comedy club, high school, university, or your corporate banquet, everything is 100% squeaky clean. There is nothing nasty, vulgar, sexual, sexist, racist, or political in the act. From beginning to end, your audience will keep laughing from good clean fun. You can be sure that there won't be any uncomfortable moments for anyone.